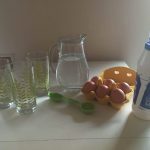 The Naked Egg is a fantastically fun and interesting experiment that is easy to do using household items from your kitchen cupboards! 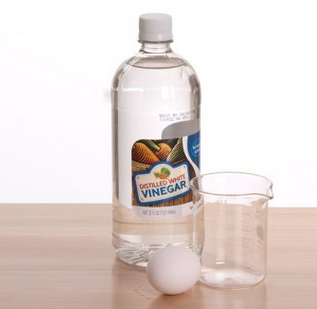 Place your egg in your container and carefully pour in some of the white vinegar until the egg is covered. Put the container somewhere safe and leave it alone for 48 hours. Once the time is up, remove the egg carefully. What has happened? Vinegar is acidic and the shell of the egg is made of calcium carbonate, when combined there is a chemical reaction in which the vinegar eats away at the eggshell, but leaves the membrane so you end up with a naked egg! This experiment takes a bit of time, but there is lots you can do to keep you occupied. 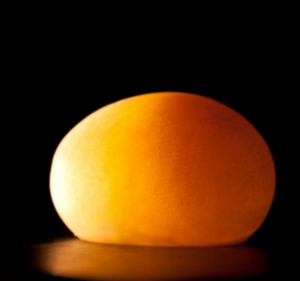 For example, make a diary, take photos and keep a record of what happens to the egg from start to finish. Did the egg change shape, size or colour? What was the texture of the egg like after 24 hours? What happens if you leave it for a whole week? What did you notice about the shell when it was in the vinegar? Shine a torch through the egg, what does it look like?